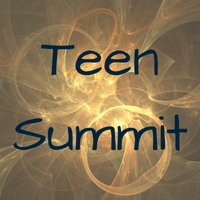 Join us for the 10th anniversary of Teen Summit hosted by the MA Library System and the Rhode Island Office of Library and Information Services. To celebrate this milestone, we have a jam-packed event full of librarian-led sessions. From tabletop gaming to library comic-cons, reader choice in high school to fandoms and fanfiction, our anniversary event is full of undiscovered treasure sure to ignite your creativity and passion for teen services. Our two keynote speakers are acclaimed authors Malinda Lo (www.malindalo.com) and Ife Oshun (http://ifeoshun.com/), each talking about their own approaches to genre fiction for teens.